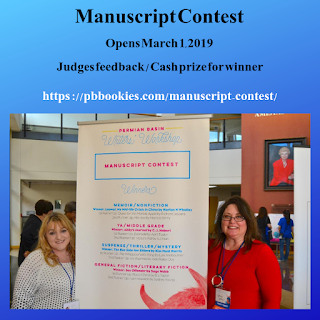 I'm proud to be chairman of the Manuscript Contest this year. Entries are accepted from March 1 until May 1, 2019. First 30,000 words of unpublished manuscript plus synopsis. Six fiction and nofiction genres plus Youth Authors (under 18)! Not much thought is given as to how devastating the Civil War was on the home front, especially to the females who had to do the men’s work when they went off to war. But what of the children who were orphaned? Sixteen-year-old Sadie Penwell witnesses her parents’ murders at the hands of Confederate Bushwhackers in rural Missouri in 1863. Driven by revenge, she cuts her hair, puts on her Pa’s clothes, and joins the Union Army. Having blessedly been taught how to handle a gun, Sadie is immediately assigned to General Sherman as a sharpshooter. After being stalked by an obsessed neighbor, losing friend after friend, the psychological torture of kill or be killed, and experiencing the battle of Resaca, she realizes no one truly wins in war. A story of courage, determination, patriotism… and glory lost. Joyce Shaughnessy has published five books in the last seventeen years. The first three — A Healing Place, Blessed Are the Merciful, and The Unsurrendered — are romantic historical fiction based upon the Dust Bowl in the Great Depression and WWII in the Pacific. They reflect her love of history and historical fiction. A children’s book, Mr. Grumpy Lizard Meets the Giggling Girls, is based on her four granddaughters, which her husband illustrated. And most recently, she participated in a round-robin fantasy novel, Gryffon Master. She is represented by Jeanie Loiacono. An interview that asks the questions no one else dare ask. This is the introduction to her interview with me as part of my "Spotlight Author" for July. It is featured on the RRBC site. Thank you, Nonnie, for making me feel very comfortable. Although my answers may sometimes be generic, your questions are not. Thank you again, RRBC, for making me "Spotlight Author" for July! I am happy to announce that I am now represented by Jeanie Loiacono, Loiacono Literary Agency. She is going to represent me for my book, GLORY LOST. Had a great interview today with host Wendy Scott! It is always wonderful to hear a fellow RRBC member. Everyone I've met has been friendly and curious about my writing habits, as I am of theirs. I mentioned that I like to write first thing in the morning, when I am fresh. We talked about A Healing Place - what had inspired me to write it and the research involved in telling the story. I love to mention that the place which was the Miller's respite, or healing place from the Dustbowl of the Great American Depression, was named Texon, Texas. I lived there until I was nine. My parents ran the grocery store in the Oil Patch town. It was different than most small oil patch towns. It had been built by a Canadian and a Texan who had witnessed impressive and productive small company towns in South America and wished to emulate them. Texon was indeed safe, kind of like living in a "Leave it to Beaver" episode. Until World War II, when there was an exodus of people who left, it offered a movie house, a nine-hole golf course, a restaurant, drugstore, grocery store, churches, and schools up through grade eight. Women organized mornings when they would offer food for bums as the railroad made stops in Texon. It was a giving place to live, somewhere to meet friends and raise your children in a peaceful, safe environment. Wendy and I talked about the plight that many of the men and women who came home from WWII, faced. In the book, the Miller's son-in-law was placed in Japanese POW camps for three and one- half years. He found his healing place in the power of prayer. He fought depression and where he found solace was through prayer. Many of soldiers after WWII suffered from what was then called "battle fatigue" and is now known at PTSD. They were unable to find the help they needed through veteran's health services.Thankfully, the medical association now recognizes the problem and does try to help most veterans with their problems. Of course, we were joined by other RRBC members so the interview was interesting and fun!